Cellular Phone Industry research papers cover three main points; how the cellular phone industry is doing, how the various components are doing, and the environment of the consumer. A research paper on the Cellular Phone Industry should contain three parts. The first part must tell how the cell phone industry is doing. The second part must explain how the various components of the industry doing in their competition among themselves (e.g., Verizon vs. AT&T vs T-Mobil, etc.). And the third part must tell me the consumer environment. How is the Cellular Phone Industry Doing? How are the Various Components Doing? In this section you want to rank the various providers of cellular telephony. The best way of doing that is by their sales (according to your time-line). Report ups and downs and if possible explain why. Here you want to explain also, if you can, which product is best, second-best, etc. (e.g., Iphone, Razr, etc. ranked according to sales). Offer some analysis on the popularity of the various products as well as the providers. By analysis I mean why is this or that product so popular according to your research. This section should end with a brief statement discussing who (what product) is doing best in the market and why. You know that your target market is the 18 – 24 year old segment. Your report should offer a description of this target market and the product they use. Offer comparisons according to age, gender, education, etc. This section should end with a brief statement telling me which target group is best for T-Mobil and its Sidekick and why. 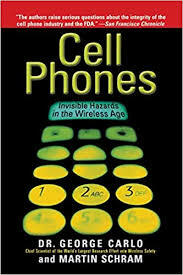 Paper Masters writes custom research papers on Cellular Phone Industry and explains how the cell phone industry is doing.